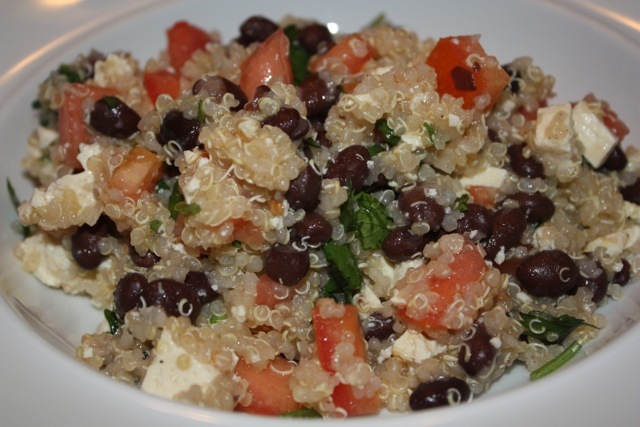 This Black Bean and Tomato Quinoa recipe was a great weeknight meal, fast, healthy and delicious! It takes only a few minutes longer to make than the time to cook the quinoa. We added 1/2 lb of diced tofu. We serve it warm for dinner, thought it was really good the next day cold too! I haven’t gotten much done these days. So it goes. What can I say? I’ve just been letting everything pass me by. Basically not much going on lately, but it’s not important. I’ve basically been doing nothing worth mentioning.